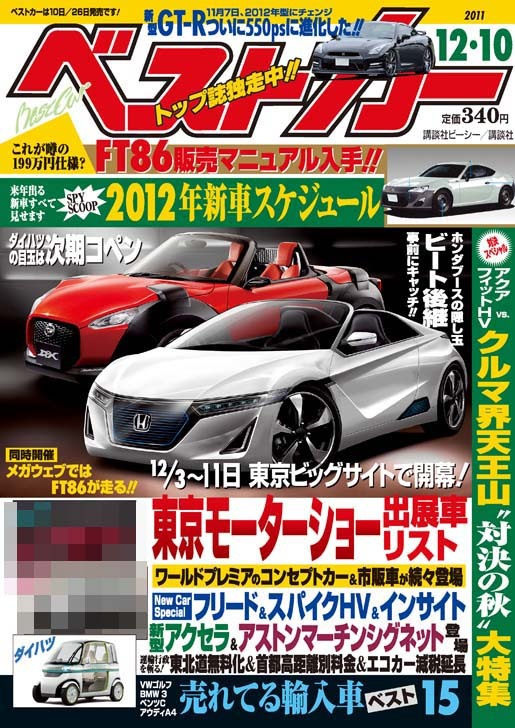 日本自動車デザインコーナー 「Japanese Car Design Corner」: Honda & Daihatsu ready roadster Kei cars! Honda & Daihatsu ready roadster Kei cars! As I have reported in the past, not only Daihatsu is working on a Copen successor, but Honda also plans to introduce a Beat successor (earlier post)! Those renderings of the new Beat and Copen come from Japanese Best Car magazine and I would really love to see those in Europe... although there is no chance to see the new Copen in Europe (earlier post).